The perfect modernist globe for the the home of the office. 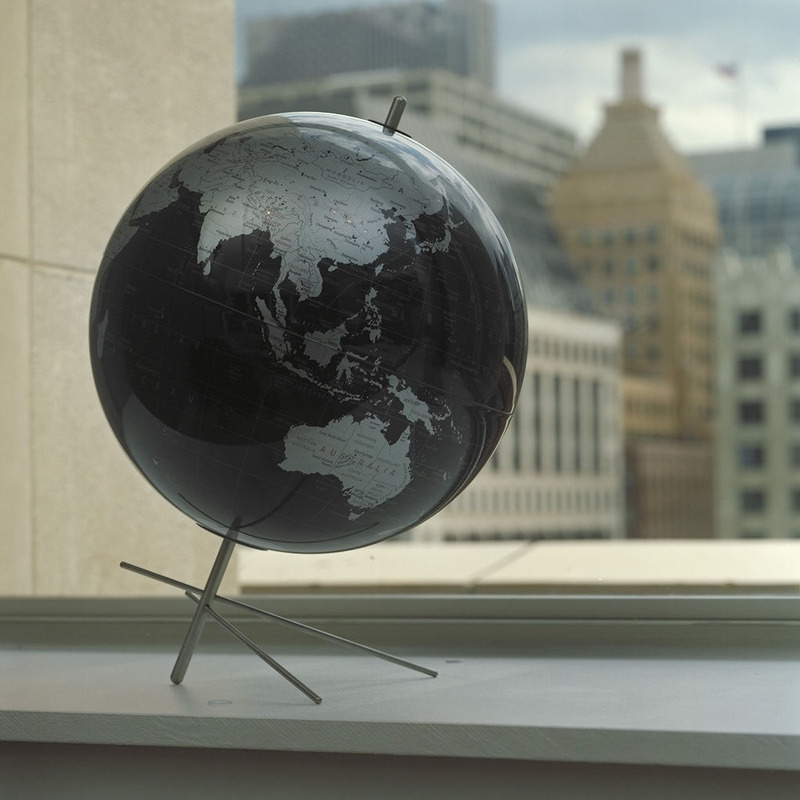 Classic modernist world globe in a beautiful deep slate grey, almost black, edition. The slate gray ocean of this beautiful modern world globe stands in stark contrast to the easy-to-read metallic silver map. Uniquely supported by an angular brushed stainless steel base. This modernist world globe is very similar to the ones you would have seen on an executive desk in 1950's America. Fashioned in the unique modern atmosphere of the 1950s and 1960s, a perfect match to the modern times of Catch me if you Can and Pan-Am. This modern transparent world globe is a very decorative design object which will certainly compliment any modern interior or office. This very unique world globe is a great alternative to the more common standard globes, it makes a great unique gift for just about anyone. It measures 12 inches in diameter and stands about 16 inches tall.